Technology on the nigh horizon will make computers faster than ever before. Read on and get a glimpse into a blazing future. From the bygone era of early computing, when clunky behemoths of first generation computers were considered fast, to the pocketable miracles of today; we have come a long way. Computers have grown to be faster, smaller, and more energy efficient almost exponentially, and keeping in tune with Moore's Law. But as chip sizes go smaller, in an effort to pack in more and more circuitry to speed things up, fundamental physical restrictions come in the way. The chips start leaking signals and won't hold digital information anymore. So then, are we at the frontiers of what can be done? Not at all. 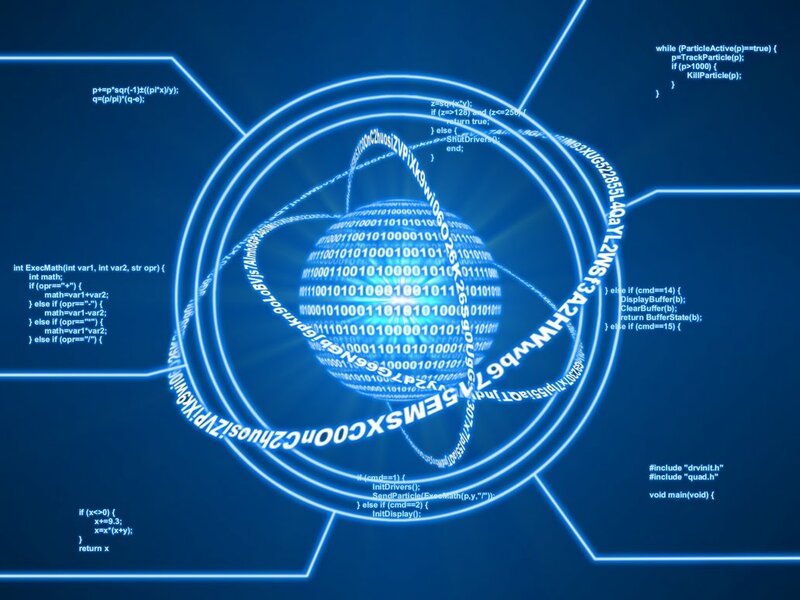 We've just barely begun to scratch the surface to unlock the secrets that computing can unfold. Bottlenecks will be a thing of the past, internal data speeds will increase beyond our wildest imagination, computers will be able to keep up with our thoughts, and the very definition of computing will change. Here's a look at some of the technologies on the drawing board which inventors, scientists and futurists alike are excited about that will make computing faster than ever before. A fusion of technology and bionics has for long been the holy grail for science. One of the explorations in this field is the possibility of using DNA to perform complex calculations. If you look at conventional computers, they're at their heart machines, which perform calculations; even when they're playing your favorite MP3 track. These calculations are performed via electronic impulses that run across silicon circuitry. Again, the limitations of silicon prompted researchers to look at alternate materials. And they couldn't have come up with a more absurd one - DNA - essentially the building blocks of life. When you give it further thought, it's but natural. After all, genes do store a hell of a lot of data and can perform millions of calculations every minute throughout an organism's life. In theory we're walking around with billions of supercomputers inside us. In DNA computers, DNA molecules can be used to perform calculations using enzymes. When they undergo reactions at a molecular level, calculations and simple operations are a byproduct. To demonstrate this in 2002 scientists from the Weizmann Institute of Science in Rehovot, Israel created a computing machine based on this principle to solve simple mathematical problems. The composition of the DNA can be manipulated to control the type of output. The speed advantage here is that unlike conventional computers that operate linearly, billions of molecules will attack the problem parallely. The problems that such computers could solve are those that involve infinitely large number of possibilities such as weather prediction for instance. Problems that conventional computers might take years to perform would be solved in a couple of hours. Wonder if they'll playa 3D Blu-ray though? Just like DNA-based computers the idea of Quantum Computers has been around for some time now, but with each passing year, it comes closer to reality. Quantum mechanics is all about entering the subatomic world of particles such as neutrons and electrons. These computers will make use of quantum properties of electrons to exist in a dual state to perform calculations. Recent experiments have shown that the spin of electrons can be controlled to go in either one direction or the other, thereby giving them a particular state (either one or zero) just like in regular computing. The difference here is that the change in state will let electrons occupy these two states and any positions in between all at once - thanks to the quantum property of superposition i.e. the ability of particles to behave as waves. Think of a taut piece of wire attached at two ends. If you give it a pull and if the vibration is right, you will find that one end is going up while the other is going down. As a wave it'll appear to cover every position in between too. As opposed to a binary bit, this makes qubits (quantum bits), represent exponential values. Two qubits can represent four, three could represent eight and so on. A finite number of qubits can represent 2n states. This power can be harnessed to solve huge problems such as decryption exceedingly quickly. 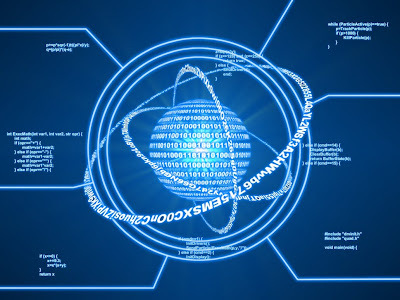 Quantum computers are still largely theoretical. A sixteen qubit computer created by Canadian company D-Wave was used to solve Sudoku and other pattern recognition problems. But the day won't be far when these computers move out of playing silly games, and start cracking codes or searching all of the world's databases in the blink of an eye. What's the use of lightning fast computers if they still have to wait on slow pokes like us (humans) for instructions? This is where newer methods of interacting with our computing better halves come into the picture. Recently researchers in Israel developed software that could replace expensive retinal scanners. The company ID-U, believes that every person has a uniquely identifiable pattern of eye movements. Using a simple webcam they aim to create an authentication tool. This technology however has some fascinating corollaries that can be drawn. If eye movement can be mapped with such accuracy, it’s not hard to imagine eye movement controlled interfaces. In fact this latest find comes in a long line of projects intended to assist the handicapped or paralyzed. If such technology were to reach the main-stream, we could completely eliminate the lag which occurs when your hand moves slowly to catch up with what your eyes have seen ages ago. A step further would be thought controlled computers. Flawlessly interfacing with computers in real time with perhaps not just the input commands but the resultant output being directly beamed to the optic nerve to form an augmented reality overlay. In our last issue we pointed you to an article on Gizmodo that featured a rat that controlled a car with its thoughts. But of course no one would want implants and electrodes sticking out of their cranium. Fear not research is ongoing to send impulses to the brain via ultrasonic sound waves. Envision a scenario, a few decades from now, where many of these experimental technologies have been put into place. You know, those Sci-fi scenarios that futurists often dream of: You get up from bed, and as your feet touch the floor, it illuminates, signaling embedded systems to initiate sequences to prepare you for your departure. Your morning news gets displayed on the bathroom mirror while you brush. Your clothes for the day, carefully picked based on your itinerary and appointments (digitally analyzed beforehand), swing into view on a carousel as you open your closet. Meanwhile your car switches on and keeps the AC on to just the right temperature after checking with the weather forecasts. These scenarios require two important things - one is tremendous computational power (which will come from some of the computing advances described earlier) and the other is the ability for computers to 'think'. The latter is where AI kicks in . You're probably thinking this scenario is too far-fetched. How will it help speed things up in the near future? Soon when AI achieves a certain level of maturity, you will find that it will keep one step ahead of you to make things easier for you on your Pc. Your daily usage patterns from boot up will be analyzed, the context of what you’re reading will be analyzed. The calm reassuring voice of 'Jarvis' will tell you ''I'm already on it sir". So the next time you select text and hit Ctrl+C a notepad file will already be open and waiting. Combine this with thought computing and you won't even have to talk to your computer's AI persona - that's computing at the speed of thought. Graphene - carbon that is as think as one atom - could be used to make electronic circuitry that would be much faster than silicon. The advantage is that silicon becomes unstable below 10 nanometers, but Graphene makes it possible to carve transistors that a just about a nanometer wide. 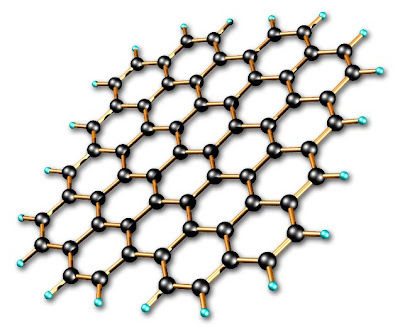 Incidentally Graphene is the world's thinnest material and could have applications in quantum computing. The two scientists from Manchester University who discovered Graphene (Professor Andre Geim and Professor Konstantin Novoselov) were awarded the Nobel Prize in physics last month.